A campaign poster featuring singer and reality star Noti Flo has surfaced online and is causing some reasonable buzz. 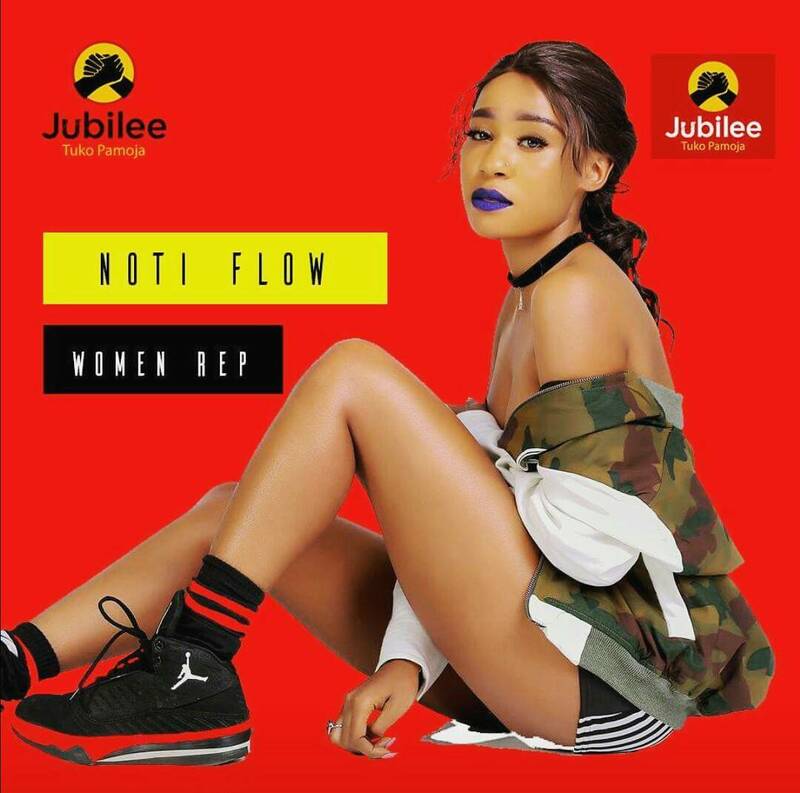 Noti Flo posted the poster on her Instagram page telling her fans that she would run for office on a Jubilee ticket. The poster indicated she would run for the position of women representative albeit it doesn't mention the specific county. The rapper's real name is Florence Kutolo. The poster features a raunchy photo, one you would not expect on a political poster. Many of her fans quickly took political sides and one of them was agitated she chose Jubilee. But not all were not buying this. Well, it turns out this was just another April Fools' Day prank. In another post, she confirmed it to be a prank and laughed about not knowing she had supporters. What's funny is the number of Kenyans on Instagram that bought the story.